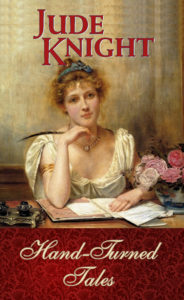 Susan Cunningham’s pleasant life as a fashionable, dashing, and respectable widow is disrupted when her daughter disappears from school, chasing a French spy up the Great North Road. When Susan sets out after her, her childhood friend and adult nemesis, Gil Rutledge, insists on coming too. 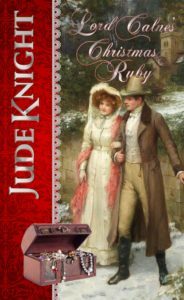 Gil Rutledge has loved Susan since she was ten and he a boy of twelve, despite her clear wish to have nothing to do with him. If he can serve her by rescuing her daughter, he will. And if their old friendship can be revived, even better. He has no right to ask for more. 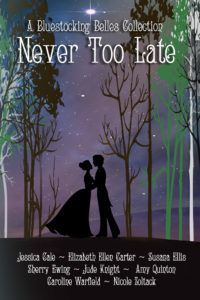 Gil and Susan must overcome danger, mystery, ghosts from the past, and their own pride before their journey is complete. 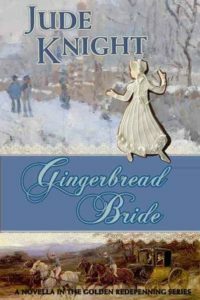 Gingerbread Bride is a prequel to The Golden Redepennings series. Hand-Turned Tales is designed so that readers can try my story-telling before they buy my other books. 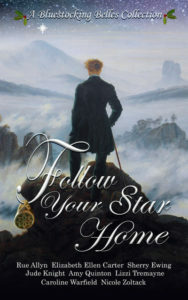 Or, if you already like my books, enter my fictional world again in four different situations. 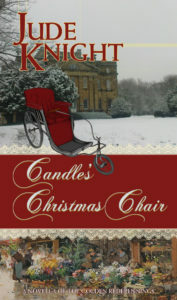 Candle’s Christmas Chair is a sweet traditional novella set in late Georgian England. 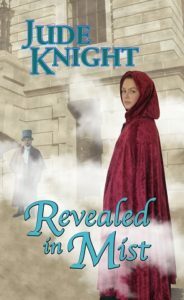 A young Viscount, new to his title, comes to buy an invalid chair for his mother, and finds the woman who has been haunting his dreams for three years. He quickly realises that, whatever causes her to flee his courtship three years ago, it wasn’t what he’d been told at the time. Now he has until she finishes the chair for his mother to convince her to marry him. 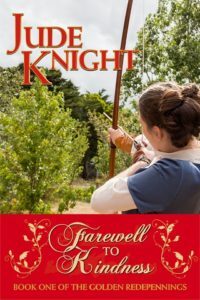 A carriage-maker’s daughter, educated beyond her station, once dreamed of stepping into the fairy tale world of the ton, only to have her dreams crushed. Now the man she cannot forget is back, and he seems determined to raise those false hopes all over again. But she only has to hold out until she finishes the chair for his mother, and she can walk away again. Rede believes he has turned his back on compassion and mercy. 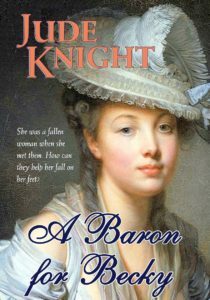 But he is distracted from the hunt for those who killed his family by his growing attraction for Anne. His feelings for her are a weakness. Or could they instead be a source of strength? Anne protected her family from scandal and worse by changing their identity. Can she keep Rede from discovering who they are? 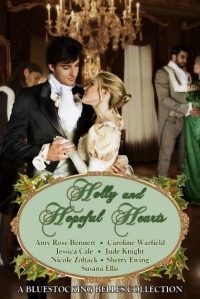 Can she give him her heart without trusting him? Can she trust him when he has closed himself off to love? 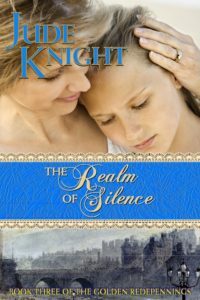 When their enemies link forces, Rede and Anne must face the past in order to claim the future. They are separated by social standing and malicious lies. How can he convince her to give their love another chance? 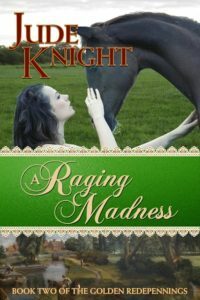 Mary runs from an unwanted marriage and finds adventure, danger and her girlhood hero, coming once more to her rescue. Scarred by years in captivity, Magnus has fought English Society to be accepted as the true Earl of Fenchurch. Now he faces the hardest battle of all: to win the love of his wife. Lalamani prefers her aunt’s quiet village to fashionable London, its vicious harpies, and its importunate fortune hunters. Philip wishes she wasn’t so rich, or he wasn’t so poor. Rose is unhappy in the household of her fanatical uncle. Thomas, a young merchant from Canada, offers a glimpse of another possible life. If she is brave enough to reach for it. 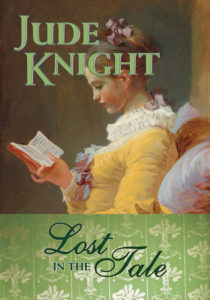 Fashionable London holds nothing for wealthy merchant’s niece, Lalamani Finchurch. Except perhaps for an earl with a twisted hand and a charming smile. Why is it that, for all the fortune hunters she has fended off since returning from India, the one man who seems to like her is so against marrying for money? Philip has inherited an impoverished earldom, but he still has his work as an engineer to fall back on. He doesn’t have to sell himself to the highest bidder, and isn’t even tempted by the women he meets in Society, until a tiny woman with beautiful eyes and a fine mind dances with him on his last night in London. When they meet again in a small country village, they join forces to uncover larceny and deceit, to rescue Lalamani’s aunt from poverty, and to discover that pride is a poor reason to refuse a love for a lifetime. A collection of lunch-length reads: four short stories and a novella. I offer them as a sample of my writing style, the stories I love to tell, and the types of hero and heroine I love creating. I hope you enjoy getting lost in my tales.